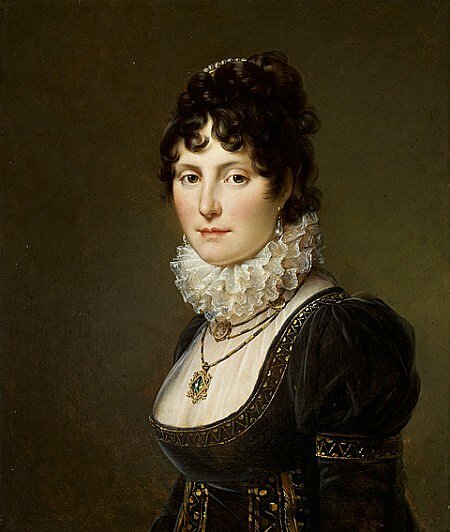 The capital of Scotland is an excellent base for exploring Nesbitt/Nisbet history. In the 17th century the Nisbets of Dean and Dirleton were well-established in the city, and evocative traces of their lives and deaths can be found at several locations. In addition, victims of the civil wars were brought to Edinburgh for sentence, and poignant memorials can be found. 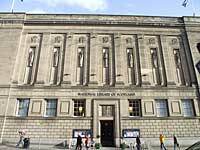 In addition, Edinburgh contains the national collections for history, art, books and archives, all full of N/N material. 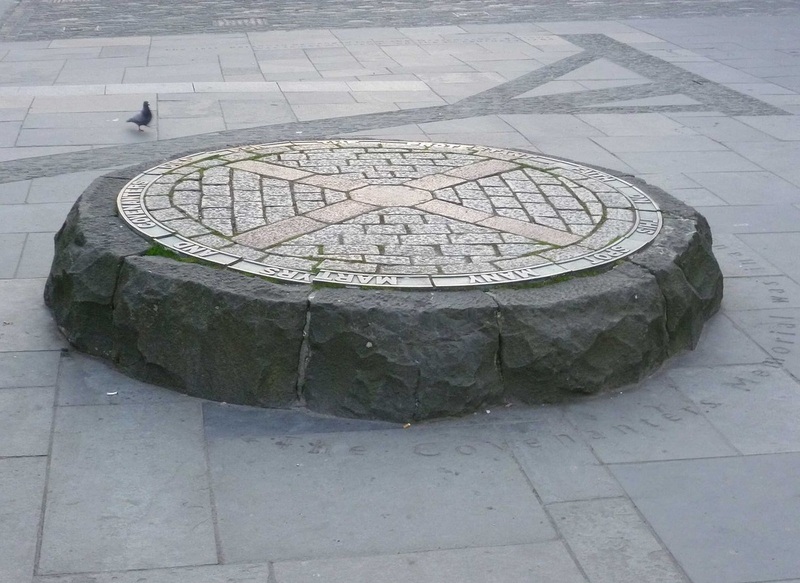 A circular memorial remembers the many Covenanters hung here in the killing year of 1685. Among them, and remembered on the memorial plaque, is John Nisbet of Hardhill. Great grandson of Murdoch Nisbet, famous translator of the New Testament, John was a man of strict presbyterian principles. He took an active part in the ill-fated Pentland rising in which he was seriously wounded. His exploits at Pentland earned him the rank of captain, and he was at the battles of Drumclog and Bothwell Brig in June 1679. In November 1685 Nisbet was captured and imprisoned in the Tolbooth at Edinburgh. 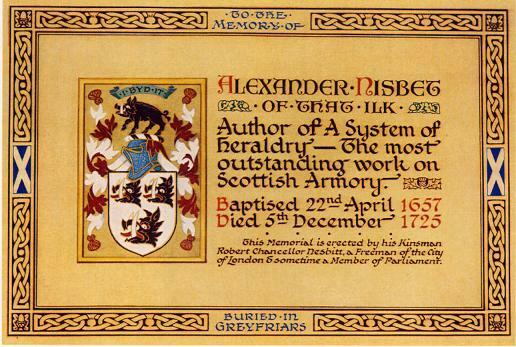 He was executed at the Grassmarket on 4 December 1685, ‘in the fifty-eighth year of his age’. 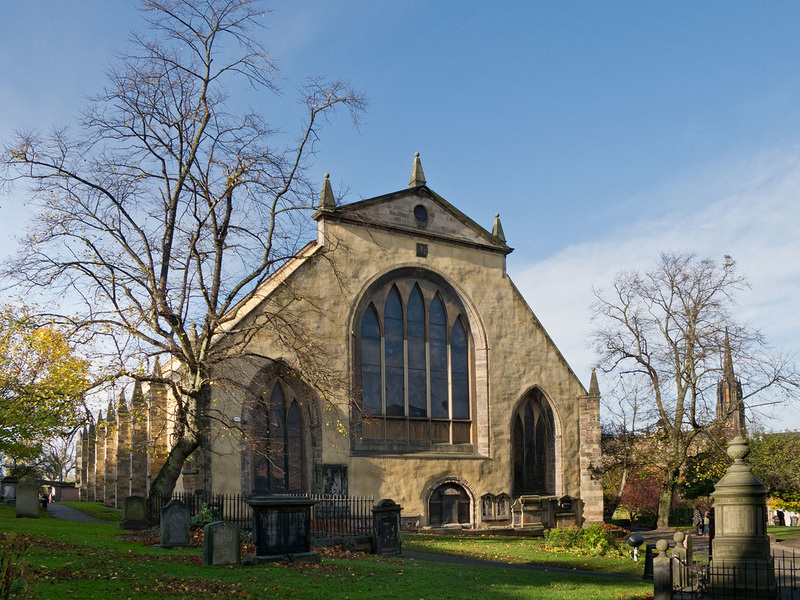 This Church of Scotland kirk at the west end of the Princes Street Gardens features in a charter of David I in 1127 and was rebuilt in 1895, with an attractive Renaissance-style interior. The former parish boundary included the Nisbet mansion at Dean. The family had a long and often troubled relationship with their parish church, and have left their mark on the building. The North Transept of the rebuilt church is noticeably shorter than the South, in order to make space for the Nisbet vault below. A short walk around the church brings one to the entrance to the vault, built in 1692 by Henry Nisbet of Dean “a mean and vain man”. 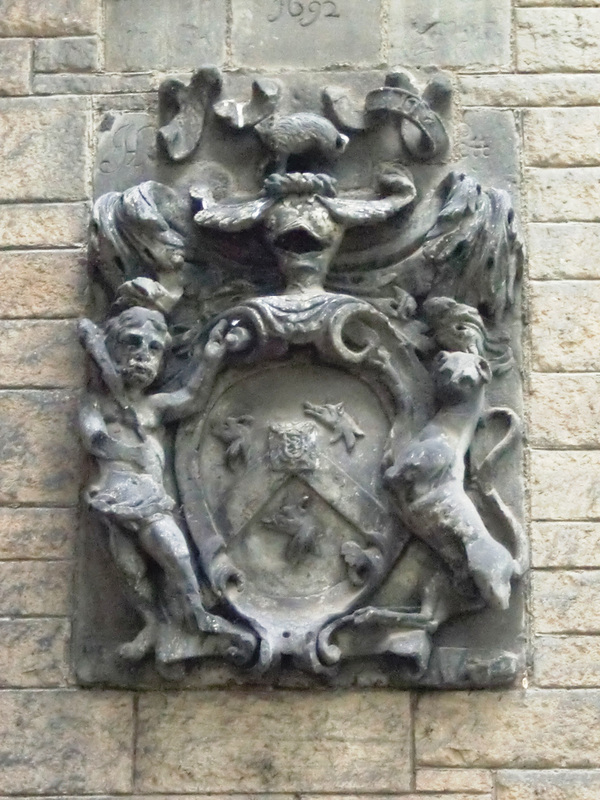 There is a large coat of arms above the plaque, with the chevron and boars’ heads that mark the Dean Nisbets, and supporters and a boar crest to which they were not entitled. The entrance gates, rebuilt in 1845, incorporate in their ironwork the initials (SWN) of Sir William Nisbet, who greatly enlarged the Mansion of Dean after buying it in 1609. Although the house was pulled down in 1845, substantial traces of this important Nisbet residence remain. 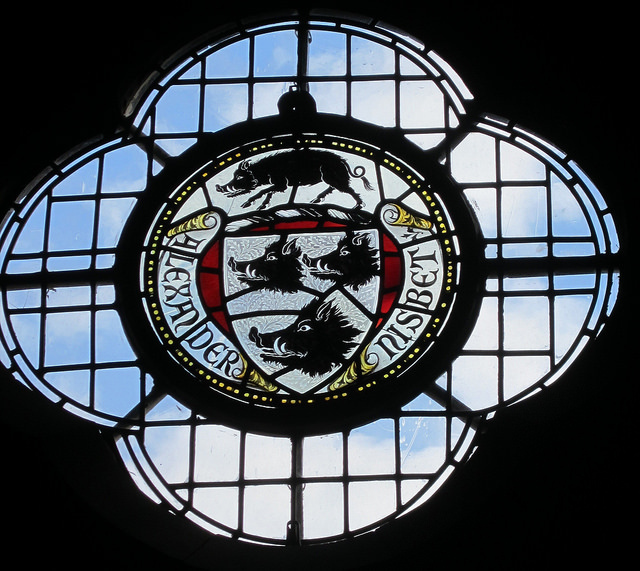 It is, said also to have been the home of Alexander Nisbet when he was writing his System of Heraldry. 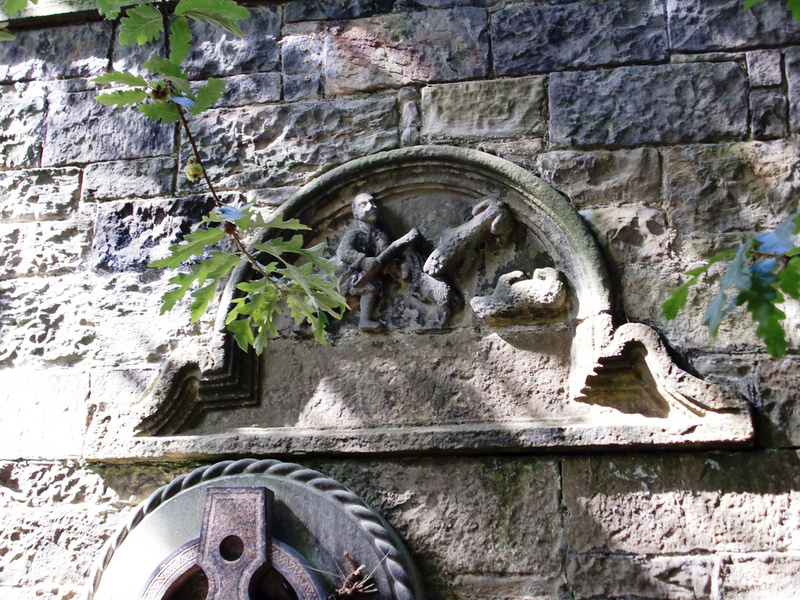 The terrace wall, deeply shaded and with a steep fall to the Water of Leith, is a very atmospheric spot and contains 7 carved heraldic stones saved from the demolished house. Many of Edinburgh's great and good are buried here, including the More Nisbett family of Drum. 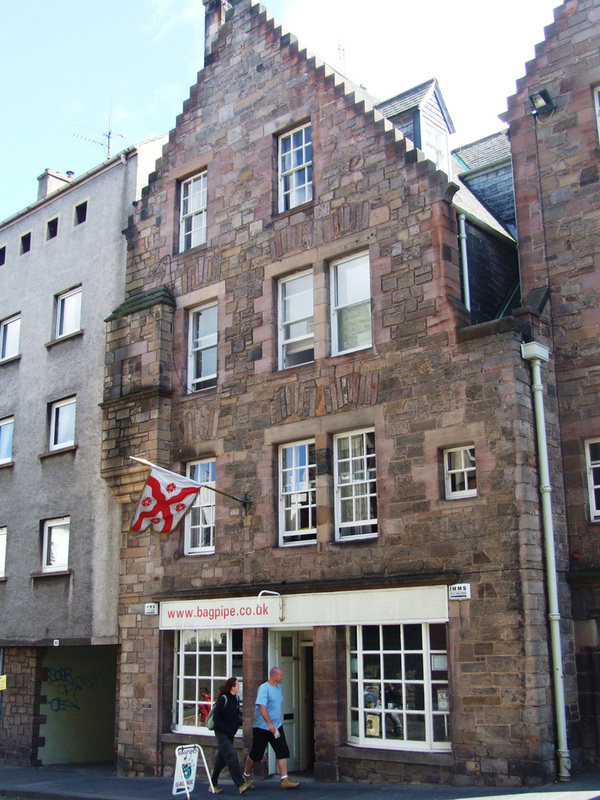 The four main research resources in Edinburgh are the Scottish Genealogy Society with an excellent library at 15 Victoria Terrace; the city's Reference Library at George IV Bridge with wide ranging Scottish collections; the Royal Commission on the Ancient and Historical Monuments of Scotland in Bernard Terrace with excellent collections on Scotland's historic places, and the National Library of Scotland, at George IV Bridge. The modern extension contains two N/N treasures. 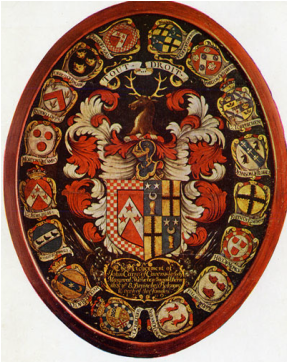 The Carre hatchment was found at Nisbet House by Robert Chancellor Nesbitt. 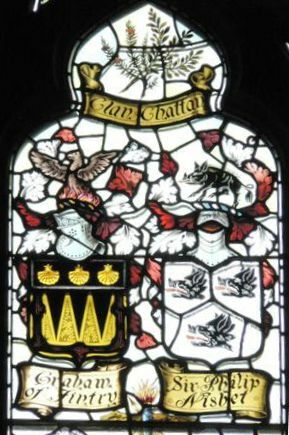 High on the wall in the New Horizons Gallery on Level 1 it shows the coats of arms of John Carre of Cavers and Margreat Wauchop, and was made for her funeral in 1709; she is buried in the vault at Nisbet House. The Reformed Church gallery has a ceiling panel showing Abraham and the Sacrifice of Isaac, one of the painted ceilings at Dean House, enlarged in 1614 for William Nisbet of Dean.